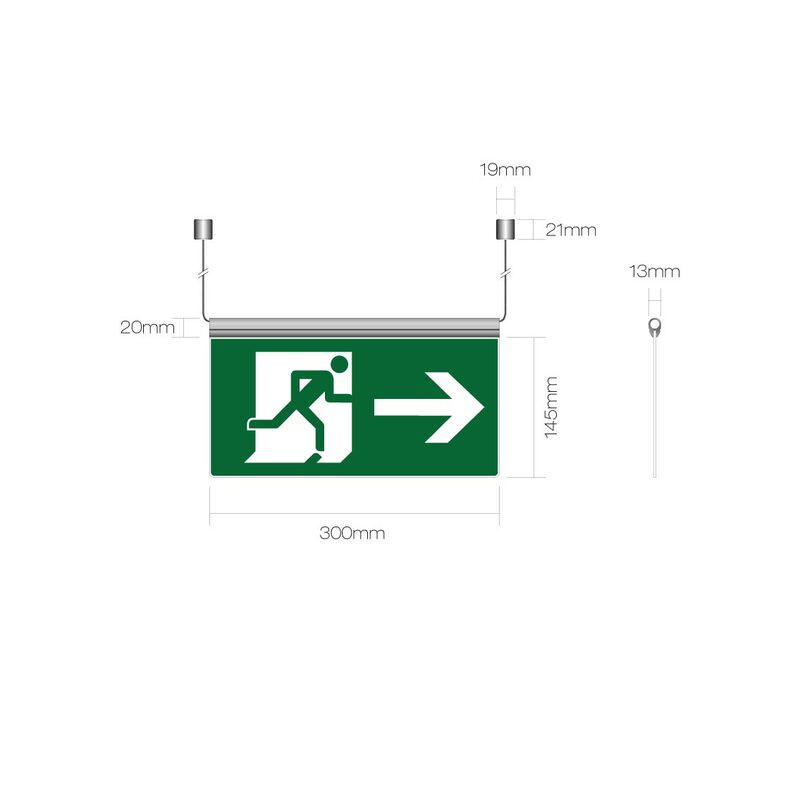 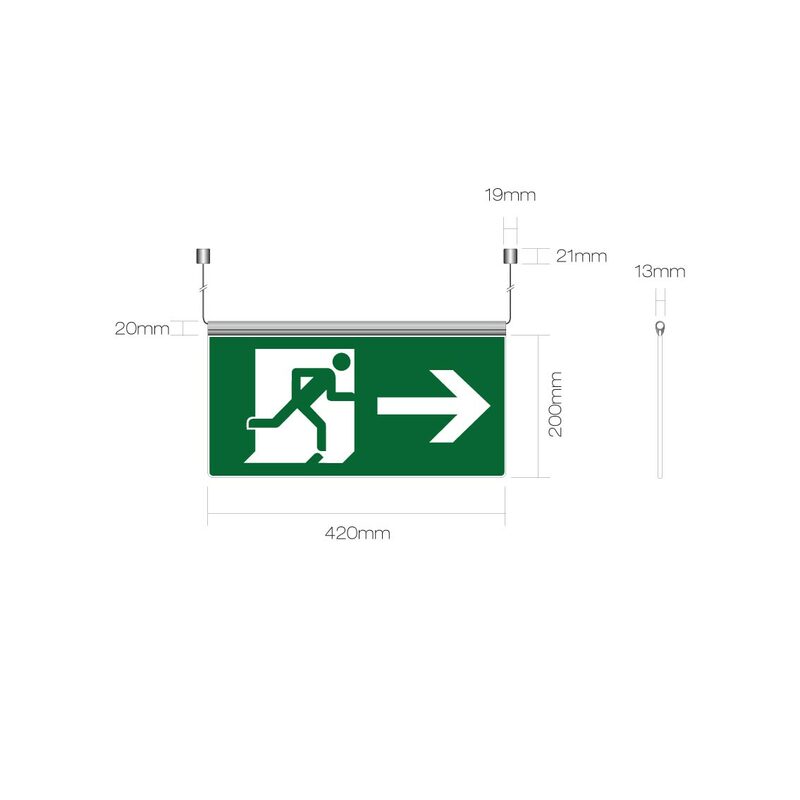 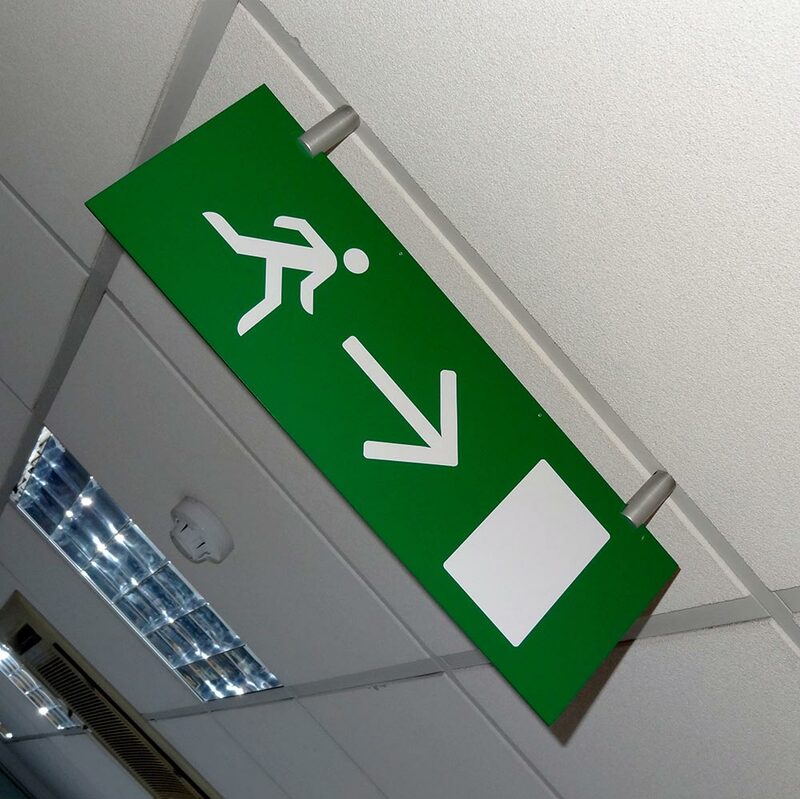 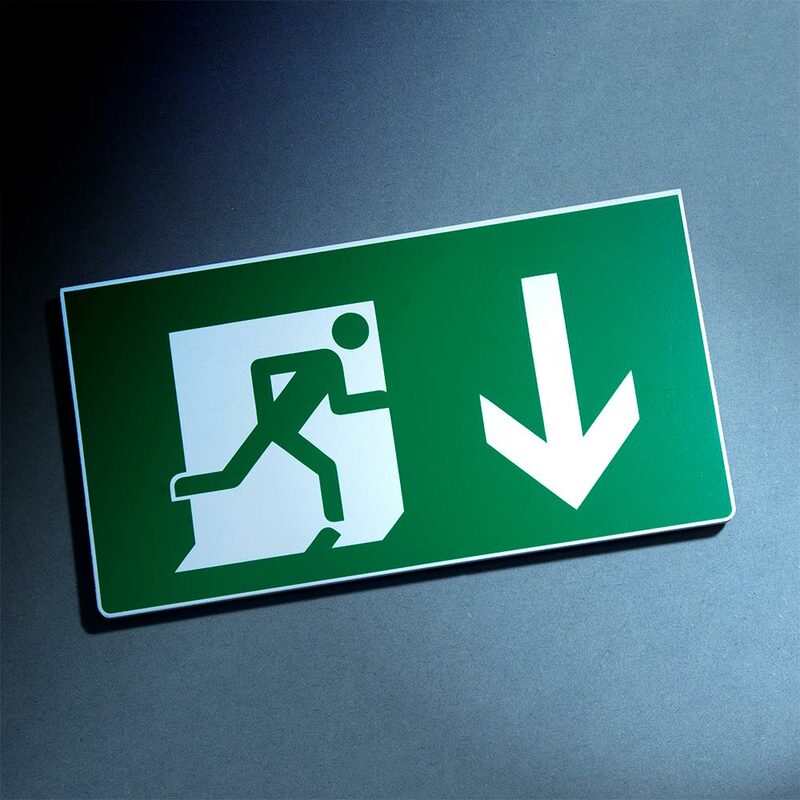 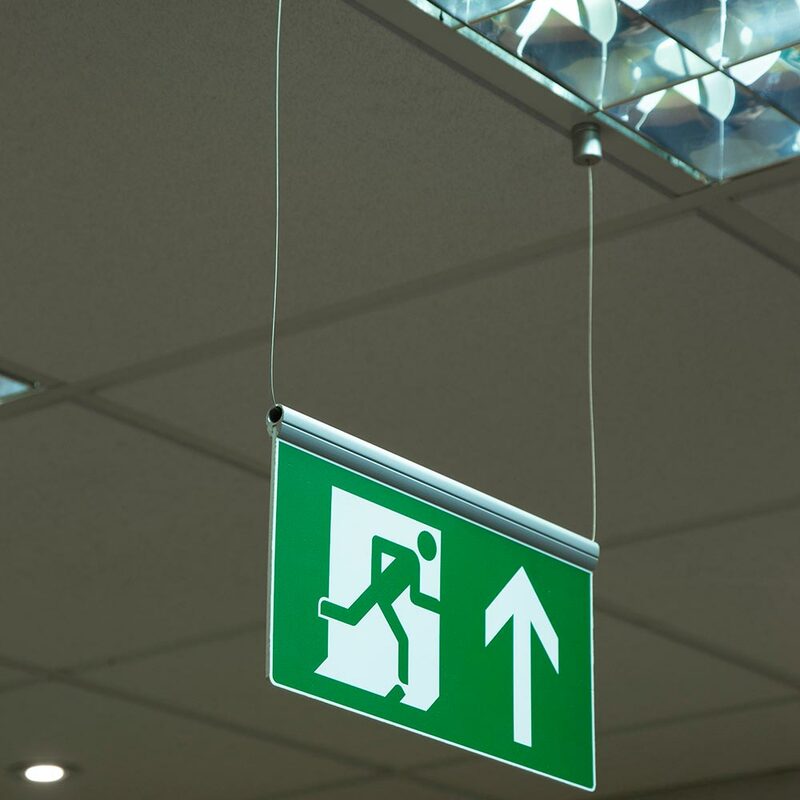 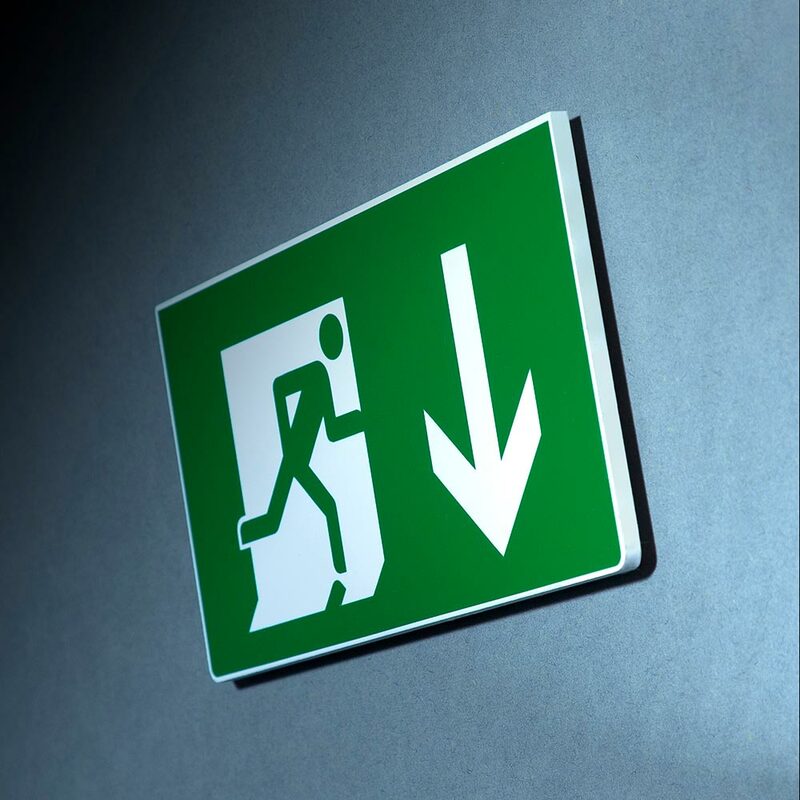 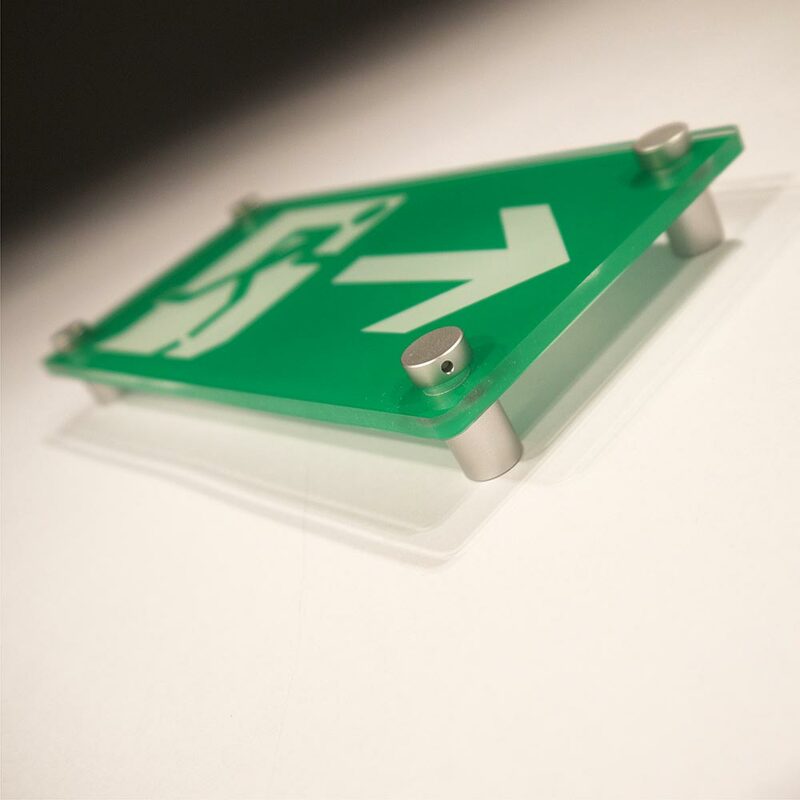 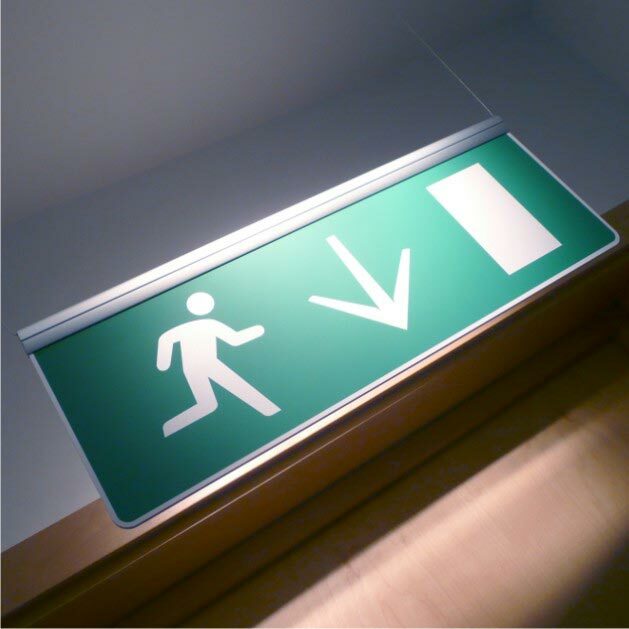 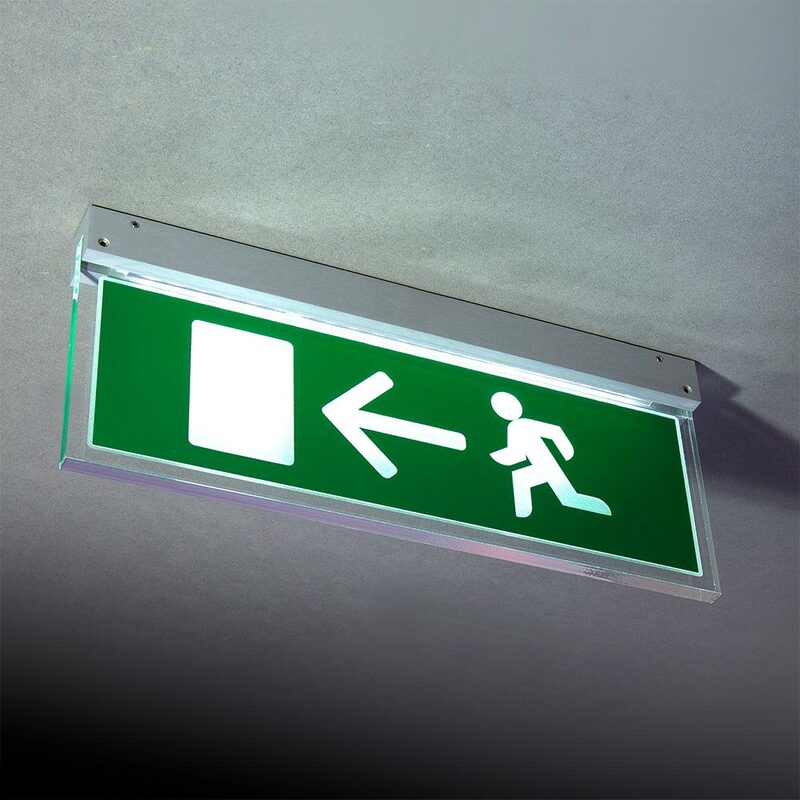 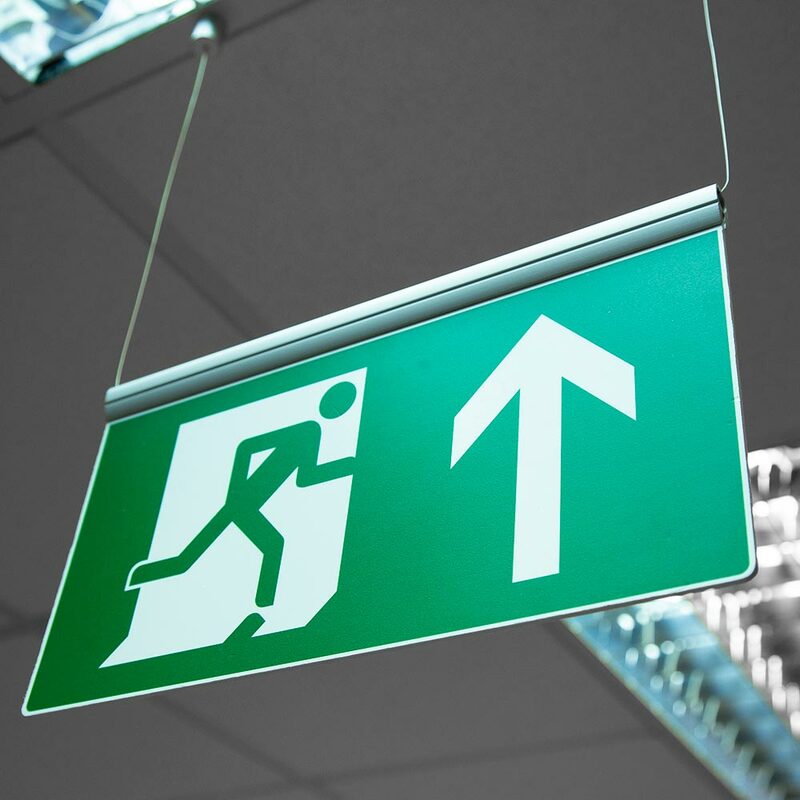 FE blade is a tough, elegant and cost-effective fire escape sign, compliant with the ISO 7010 standard, soon to be EN (European Norm 7010 regulations). 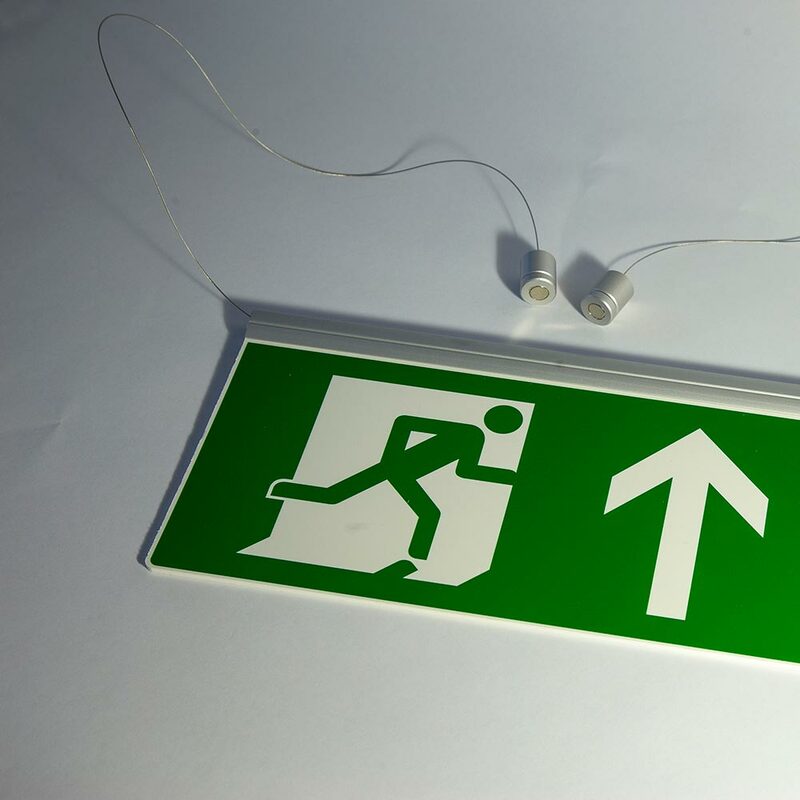 Manufactured from screen printed rigid 3mm white Foamex, either single or double sided and suspended with a satin anodised aluminium extrusion. 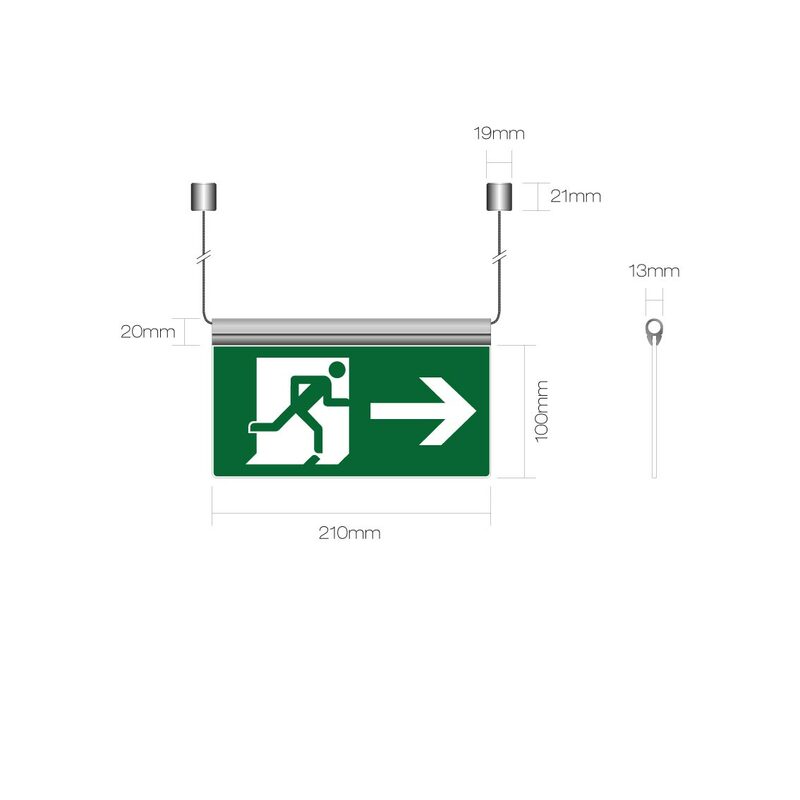 Signs can be either wall fixed with self-adhesive tabs or ceiling fixed with suspension kits comprising 2m x 0.7mm steel cable and a pair of saa ceiling fixings.